Nvidia has recently been rumored to be launching their upcoming Pascal based Titan at Gamescom in Cologne, Germany coming up in August 17-21. Based on the GP100 GPU currently deployed in Nvidia’s Tesla P100 based PCIe accelerators designed for deep learning applications, the GP100 is expected to be at least 50% faster than Nvidia GeForce GTX 1080’s GP104 GPU. 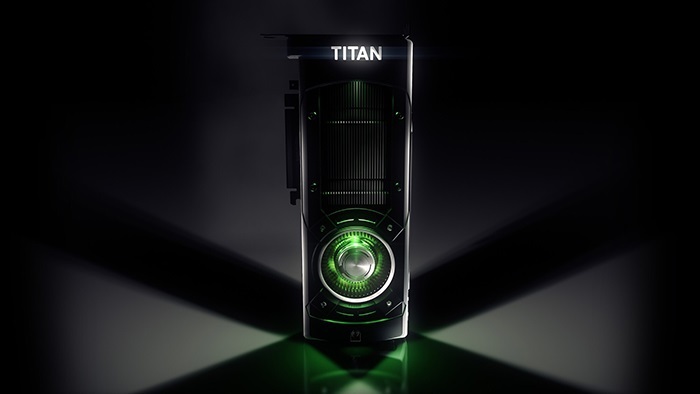 The upcoming Pascal based Titan is expected to come in two flavors, 16GB and 12GB, both of which will feature HBM2 memory. Whereas the 16GB variant is rumored to feature 4 HBM2 stacks and a 4096-bit memory interface, the 12GB variant is rumored to feature 3HBM2 stacks and a 3072-bit memory interface. The PCB is currently in development and includes routings for both a 8+6 pin and a 8+8 pin power connectors. This will put the Pascal based Titan at ~300W-375W TDP. Nvidia is also rumored to be launching a graphics card (GeForce GTX 1080 Ti?) based on the GP102 GPU which sits between the monster GP100 and the GTX 1080’s GP104. No word on this chip just yet. So I’ve seen conflicting rumors about this. I read somewhere that the GP102 would be powering the next Titan and Ti variants. “the GP100 is expected to be at least 50% faster than Nvidia GeForce GTX 1080’s GP104 GPU” <- This tells me that the Titan P will not be GP102, it will be GP100 hence a lot of wasted die. If they took the die space, took out the 64FP and leave only 32FP (which is what games use), then it could be a monster beyond imagination. Take out the 64FP from the die and give us the best card for gaming. I wouldn't be happy with a Ti variant because of its low raw-power. I always want the best out there. I don't care if it's 50% faster… is it 50% faster in games? HPC? Or what? Yes, there have been conflicting rumors on the subject of the GPU(s) which will power the next Titan and 1080 Ti cards. The are a couple of reasons for this. 1. Historically, NVIDIA would use their top-end Gx100 (or Gx110 in a few generations) GPU core for both the Titan and the x80 Ti cards. So, it is natural to assume they’d do the same again. 2. The GP100, unlike previous generation top-end NVIDIA silicon, is not purpose-built for gaming. Instead, it features many elements which are very expensive and would not be useful for gaming performance, as it is designed for enterprise level compute. These features include not only the very expensive, and limited quantity HBM2 memory but more importantly the double-precision FP64 CUDA cores. This is why it is expected that the 1080 Ti and possibly even the Titan P will feature the GP102 core, which will strip away the 1792 FP64 Cores, and possibly even replace the HBM2 memory with the very same GDDR5X found on the GTX 1080. This would make sense, as otherwise, the GTX 1080 would be the only GPU in NVIDIA’s entire lineup to feature GDDR5X memory. In other words, GP102 will be a sort of hybrid of GP100 and GP104. They strip away the GP64 CUDA cores, keep the FP32 cores, and use the memory controller from GP104 which supports GDDR5X. Yep…. I’ve read enough about this to know that the GP100 has FP64 CUDAs that basically are a waste for games, and a waste of die space. Could they then (theoretically), get the GP100, strip out the FP64 CUDAs and replace them with FP32 CUDAs? Also, I would love the HBM2 memory because that (to some extent) increases the memory bandwidth. I hope they don’t use GDDR5X. I think that was a rushed decision because of the lack of HBM2 supplies. Also, I don’t think that they will keep GDDR5X ONLY because they would have only GP104 using the GDDR5X. Now that I think about it, why in the heck would they compare it with the 1080 if it wasn’t meant for gaming? They say it’s 50% faster (I know, it’s vague), and they’re going to include all the double-precision FP64 CUDAs?